L’avenir semble lui sourire ! We are proud and excited to announce the launch of our brand new mobile application! This mobile app is a another step towards our vision and philosophy that aims to deliver high-end services to our customers. La Casa Del Tabaco mobile application is made for the people who wish to have their passion at the reach of their fingertips. 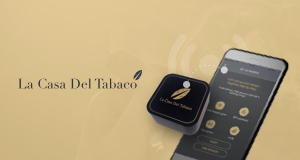 Thanks to our IoT Sensor available on our webshop (https://www.lacasadeltabaco.com/en/product/la-casa-del-tabaco-sensor/), you can live track your humidors and make sure that your cigars or wines are stored in the perfect conditions. The sensor regularly measures the humidity and temperature and sends the values to your mobile application. You will be automatically notified if the values exceed the set limits. Explore our exclusive selection of cigar accessories and high-end products. As a cigar enthusiast, you'll be able to browse thousands of products, explore the latest trends whenever and wherever you want. Get your favourite products delivered on your doorstep and discover a brand new shopping experience. You desire to keep track on your purchases and have a simple way to reference your stock ? Create your own inventory of cigars, wines or spirits products along with quantities, ages and prices. For the Holidays, La Casa del Tabaco Group launches in collaboration with J. Cortès a serie of 10 unique humidors. These were designed by Benjamin Van Oost, a artist from Ghent (Belgium). These were artfully crafted with paintings and drawings at the outside as well as the inside. The results are wonderfull: a real collector's item and a perfect gift for the Holidays. Each humidor is sold with a selection of NUB cigars, one of the top brands of the Belgian cigar manufacturer that are handmade in Nicaragua. The humidors come each with their own design, but all with references to Nicaragua, they are limited to 10 pieces. The price of these special editions is 555 Euro, you can find these humidors in your La Casa del Tabaco Shops in Bruges, Kortrijk, Knokke, Hasselt and Ukkel. We would like to inform you that there is a new regional edition available for Belgium and Luxembourg, the Sancho Panza Gran Quixote. The Gran Quixote is a Perfecto with a length of 162 mm and a cepo of 52. This cigar comes in boxes of 10 cigars and they are limited to 8.000 boxes or 80.000 cigars. Each box comes with its own unique number. The price for a box is 169 Euro. 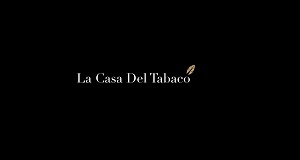 Le concept de La Casa Del Tabaco repose sur des boutiques de luxe spécialisées dans les cigares de Cuba, de République dominicaine, du Nicaragua, du Honduras, du Costa Rica, des Pays-Bas et de Belgique. Outre les cigares, des pipes, du tabac à pipe, des accessoires dérivés haut de gamme pour fumeurs, des alcools, des bougies, des parfums d’intérieur et des cadeaux de luxe sont également en vente. Vous voulez devenir franchisé ? Redirection vers notre toute nouvelle boutique en ligne! Nous avons donné un tout nouveau look à notre boutique en ligne La Casa Del Habano! N'attendez plus et découvrez notre nouvelle boutique en ligne.